Manitoba curling fans will soon be able to display their love of “the roaring game” with a new specialty licence plate, Andrew Swan, minister responsible for Manitoba Public Insurance, announced today. The CurlManitoba licence plate, to be administered by Manitoba Public Insurance, will be available on Monday, Dec. 9. Cost of the plates will be $70 with $30 of that fee going toward the Curl Manitoba Curling For Life Endowment Fund. Curling fans will be able to visit any of Manitoba’s more than 300 Autopac agents to place their orders and receive their plates. The CurlManitoba plate is the sixth specialty plate issued by the province. Manitoba previously approved issuing specialty plates for the Winnipeg Jets, Winnipeg Blue Bombers and Winnipeg Goldeyes, as well as specialty licence plates to honour veterans and firefighters. Additionally, a Fish Futures specialty licence plate was recently issued for trailer use. CurlManitoba has partnered with MPI and the Provincial Government to issue a Curling Licence Plate available for sale starting Monday December 9. The licence plate price will be $70 with $30 to be shared between CurlManitoba’s Curling for Life Endowment Fund and local curling clubs. Each member of an affiliated curling club that purchases a licence plate can register that plate number with their curling club, and CurlManitoba will remit $10 of the $30 to the curling club. The remaining $20 will be deposited in the Curling For Life Endowment Fund which is a permanent interest bearing endowment fund managed by the Winnipeg Foundation. Interest generated will be used for CurlManitoba’s Development Programs, Scholarships, and the promotion of the sport of curling. Information posters have been forwarded to Manitoba curling clubs. CurlManitoba has announced five Scholarship winners for the 2012-13 season. Four $1,500 CurlManitoba scholarships have been awarded under the revamped Curling for Life Endowment Fund Scholarship Program. In addition, the annual Edna Moffat Spirit of Youth Scholarship has also been awarded. The four CurlManitoba scholarship recipients for the 2012-13 season are Kyle Doering, East St. Paul; Jordan Smith, Warren; and Jennifer Curle and Hayley Surovy, both of Minnedosa. Surovy will be attending Brandon University (Arts-Education) while the other three scholarship recipients will attend University of Manitoba in the fall. Curle has been accepted into the University 1 program with plans in the medical rehabilitation field. Smith will be studying Engineering and Doering is seeking a business degree. The four $1,500 CurlManitoba Scholarships represent the final funding from the former Manitoba Curling Foundation which has been deactivated and replaced by the Curling For Life Endowment Fund. The scholarships program will be one of the future funding priorities for the Endowment Fund. 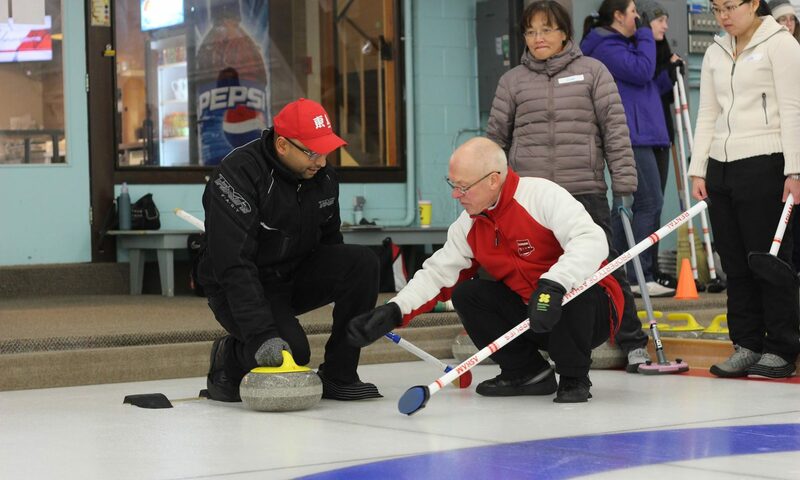 The Curling For Life Endowment Fund currently sits at nearly $200,000 with a long-term goal of $1,000,000. Interest from the fund will be allocated annually to three priority areas: scholarships, development programs, and promotion of the sport of curling. This year’s recipient of The Edna Moffat Spirit of Youth Scholarship, Allyson Jubinvill – Gilbert Plains, is the 18th recipient since it was established after Edna Moffat passed away in 1995. The $1,000 scholarship is available to any junior woman curler in Manitoba. It is funded through a trust fund established by the family of the former Manitoba Ladies Curling Association Past President and Honourary Life Member. Jubinvill will be attending the University of Manitoba seeking a Science degree with long-term plans in medicine.